Rodrigue makes 32 saves for shutout, Islanders lose to Voltigeurs. 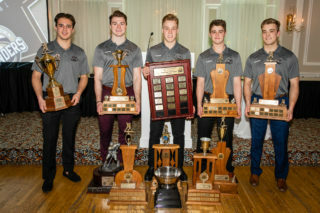 On a night where the Charlottetown Islanders honoured their former captain and top defender, it was the goaltenders that stole the show. 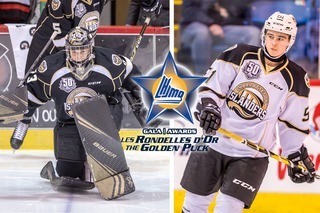 Both Islanders starter Matthew Welsh and Drummondville Voltigeurs starter Olivier Rodrigue made 32 saves in the game; unfortunately for Welsh, the Voltigeurs took one extra shot. 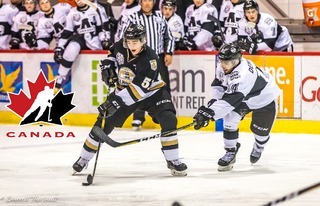 Nicolas Guay scored early in the first and Felix Lauzon added an empty netter, as Pierre-Olivier Joseph and the Voltigeurs defeated the Islanders 2-0 on PO Joseph Appreciation Night. The Voltigeurs would strike early in the first period. A Marc-Olivier Duquette point shot would hit a scrum of players in front of Islanders starter Matthew Welsh and fall right on to the stick of Voltigeurs captain Nicolas Guay. The high-scoring forward would make no mistake on the wide-open net for his 30th of the season, establishing a new career high. 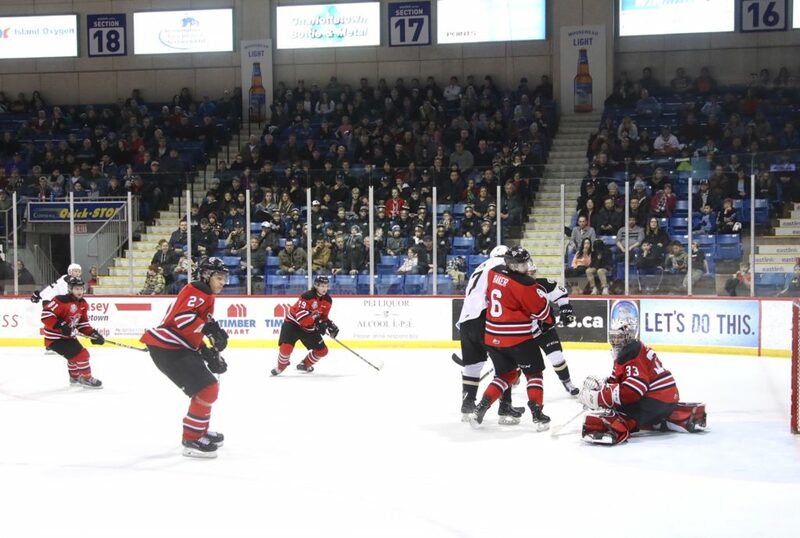 While Drummondville is one of the strongest teams in the league, Charlottetown refused to wilt. The Isles took a physical game to the Voltigeurs early and often throughout the game, throwing a number of big hits at both ends of the ice. The third period brought with it a parade to the penalty box for Drummondville. The Voltigeurs spent the majority of the third on the penalty kill, taking four straight penalties before the 11 minute mark of the period. 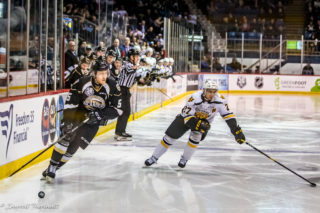 The Islanders, however, couldn’t take advantage; the Voltigeurs kept the Isles attackers to the outside and not allowing them any quality opportunities to set-up with the man advantage. That play with the man advantage would come to be the difference. The Voltigeurs would lock it down defensively from there and take the two points. Welsh was outstanding in goal, rebounding from a couple of shaky starts against Halifax and Sherbrooke despite the loss. Hulton says this is the Welsh that fans have come to love, and the goaltender that can steal this team games. Before he left, Joseph had a message for the Islanders fans that supported him over the years. 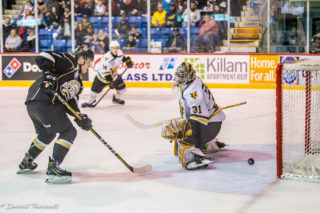 The Islanders don’t have long to rest, as they’ll hit the road tomorrow night when they take on the Saint John Sea Dogs from Harbour Station. You can catch all of the action on Ocean 100’s Saturday Night Hockey.